These DVDs contain color scans of documents. Text documents are generally scanned at 240 dpi, charts & maps at 400 dpi, and photographs at 600 dpi. All images are JPEG files. Technical intelligence reports prepared by the US and British Armies detailing weapons, equipment, and facilities captured from the German Army in 1944 and 1945. Most reports are 2 - 4 pages long with photographs, charts, and diagrams, statistics, details, and observations. Pages were scanned at 200 dpi, charts at 400 dpi, and photographs at 600dpi. Some reports are repeated between the DVDs because they contain information that crosses between subjects. Tank: Maus, E-100, Cricket, Tiger II, Sturmtiger, Jagdtiger, Panther OP Tank, PzKpfw IV Observation Tank, SdKfz 234, 15cm StuH 43 Grizzly Bear, Truck with PzKpf II Model F Suspension, PzKpfw II Model L, 7.5cm Stu K. 42 Mounted on PzKpfw IV Chassis, 3.7cm Flak 43 on PzKpfw IV, 2cm Flakvierling 38 on PzKpfw IV, 2cm Panzerflak Tank PzKpfw 38(t), Collapsible Ammunition Rack from PzKpfw IV, "Panzerhetzer" Self-Propelled Rocket Launcher, German Self-Propelled Gun Chassis as Cargo Carrier, Traverse Speeds of PzKpfw Panther and Tiger II, Translation of Manual on 7.5cm Assault Gun, Mark III Tank Chassis used as Cargo Vehicle, 38cm R. Sprgr. 4581 Rocket Projectile for the Raketenwerfer 61 Projector, Dummy Tanks; Transport Trailer for PzKpfw Tiger Model B, Mud Grouser for Bergepanther Recovery Vehicle, New Light Armored Full-Track Carrier, Report on Henschel Tank Proving Ground, Czech Light Tank PzKpfw 38(t) with Turret Mounted Tank Gun 2cm KwK 38, French Renault Light Armored Prime Mover Converted to Machine Vehicle, French Renault Armored Light Prime Mover, Armored Vehicle on French Half-Track Chassis, French R35 Tank Chassis used as Carrier for German 8cm Mortar, 7.5cm Sabot Round, Infrared Equipment on Tanks, Non-Recoil Gun Mounts for Tanks, Cold Weather Tank Starting Equipment, Compressed-Air Discharger for Projection of Bangalore Torpedoes from Tanks, Vulnerability Charts and Phantom Views of German Tanks, Track Grousers for Panther Tank, Wide Track Fitted to Mark III Cargo Carrier, Nameplate Markings of German Tanks, Wire-Mesh Tank Skirting, Panther Tanks Disguised as M-10 Gun Motor Carriages; Tank Observation Periscope, Panoramic Turret Sight. Anti-Tank: 7.5cm Pak 50, 5cm Automatic Anti-Tank Gun, Table of Anti-Tank Equipment, 20mm Danish Ladsen Anti-Tank Gun, Caster Wheel for 7.5cm Pak 40, Fixed Mounts for Tank and Anti-Tank Guns, Ammunition Ready Rack for 8.8cm Pak 43/3, 6.6cm Skoda Anti-Tank Gun, 12.8cm K 44 Field and Antitank Gun, Russian 57mm and 100mm Anti-Tank Guns, 8.8cm Pak 43 Gun Mounted on Russian 15.2cm Howitzer Carriage. Other Vehicles: 8-Wheeled Armored Car SdKfz 234 with 2cm and 5cm Guns, SdKfz 250/9 with 2cm Gun, Sd Kfz 251 with 7.5 cm Gun, SdKfz 251/17 with 2cm KwK 38Armored Semi-Tracked Cargo Vehicle, Anti-Aircraft Guns Mounted on 8-ton Half Track SdKfz 7, 15cm Nebelwerfer on Armored Half-Track, Special Body on 8-ton Semi-Tracked SdKfz 7, Heavy Semi-Tracked Military Tractor SWS, German Heavy Half Track Recovery Vehicle SdKfz 9, Modified German Semi-Tracked Vehicles, Raupenschlepper OST, Heavy Wheeled Tractor Radschlepper, 4-Wheeled Cargo Trailer, French Unic Light Half-Track, Care and Treatment of the Goliath in the Field, Radio Controlled-Demolition Vehicles BIVc and FKL Pz NSU-Springer, 6 x 6 Diesel Truck, German Medium Full-Track Tractor with Producer Gas Generator; German Streamlined Motorcycle, German Modification of American M8 Armored Car, Conversion of Diesel Engines for use with Producer Gas. German Weapons: Smoothbore Developments and Silent Small Ammunition Research at Berliner-Suhler-Werke (Gustoffwerke); Small Arms Characteristics Charts; Metallurgical Analysis of Ammunition Steel Cases; 27mm Double Barrel Signal Pistol Silencer; 7.92mm Machine Carbine 1944; 7.92mm Mauser Rifle, Model 98 Modified to Caliber 22; Comparison of Models 1924, 1924-30, and 1934 Mauser Rifles; Conversion of Russian 7.62mm Rimmed Moussin-Nagant Rifle to handle 7.92mm Rimless Ammunition; 9mm Machine Pistol MP 3008; 7.9mm Machine Carbine M Kb 42 (W); Folding Stock and Removable Sight for Kampfpistole; 7.92mm Volksturm Gewehr 1; Volksturm Experimental 7.92mm Semi Automatic Carbine; Krummerlauf (Bent Barrel) Attachment for Machine Pistol; Paratrooper's 9mm Mauser Machine Pistol Model 1943; Sight Extension for MG 40; Safe Use of German Pistols and Ammunition; German Complete Rounds Charts, 7.92 Small Arms Ammunition; Machine Gun S 3-200; Sub-Machine Gun EMP 44; Study and Test-Firing of Machine Pistol Cal 7.92mm MP-43; Sub-Machine Gun MP 40 with Dual Magazine Feed; 7.92mm Machine Gun Model 1944; Shotgun and Small Pistol Sizes; German Training Rifle; German Battle Training Material; Stereoscopic Sight for Small Caliber AA Weapons; Anti-Aircraft Mount Fla L17V for Four Guns, Machine, 7.92mm MG 17; Pillbox Machine Gun Mount for MG 37 (t) and MG 34; 5cm Automatic Mortar; 8.1cm Mortar Projectile W Lt Gs 4447; 8cm Mortar Projectiles; Pyrotechnic Pistols; Double-Barrel Air Force Signal Pistol; Improvised Trip Flare; Pyrotechnic Cartridge, 12mm and Cal 380; Pyrotechnic Cartridge; Development of the Panzerfaust, Panzerfaust 60m, Translation of German Bazooka Manual, Anti-Tank Rifle M SS 41; Glass Bottle Mine Eismine & Concrete Block with Glass Bottle Charge, Anti-Personnel Glass Mine and Igniter gZX44; Smoke Grenade Egg Shaped 42; Signal Pistol Grenade Projector, edg 3a44; Concrete Hand Grenades; Friction Pull Igniters for Concrete Hand Grenades; Spherical Grenade; New Types of German Hand Grenades; Offensive Disc Type Grenade, Grenade Cartridge Experimental German 7mm; Hand Grenade, AK-B 1944; Fragmentation Jackets for Egg Hand Grenade Eier (Hand Granate 39); Chemical and Explosive Tests of Nipolit Blocks and Grenades; German Binoculars Dopplefernrohr; Zeiss Observation Periscope; German Range Finder, Entfernungsmesser (Em. 1.25m. R.) (Disvau); Pressed Paper Ammunition Container; Maintenance of Weapons, Equipment, and Ammunition in Winter. Russian Weapons: Small Arms, Mortars, and Grenades; Aircraft Machine Guns; 7.62mm Siminov Automatic Rifle M-40; 7.62mm Machine Pistol M-40; 7.62mm Sub-Machine Guns M-40 and 41; 7.63mm Machine Pistol Model 1942; Degtyarov 7.62mm Heavy Machine Gun Model 1939; Telegraphic Rifle Sight; Telescopic Mount for Model 40 Semi-Automatic Rifle; 5cm Trench Mortar; 82mm Mortar; Hand Grenade RPG 41; Dummy Hand Grenade; Carrying Harness for 82mm Mortar Base Plate; Degtyarev 14.5mm Ant-Tank Rifle PTRS 41. French Weapons: Small Arms Characteristics Charts; MAS Pistol 7.65mm L Model 1935-S; MAS Submachine Gun, 7.65mm Mle 1938; Cast Steel Fragmentation Grenade; 5cm Mortar L. Gr Mle 37. Other Countries: Danish Madsen 8mm Light Machine Gun; Madsen 7mm Light Machine Gun Model 1940; Yugoslavian Egg Grenade M-21; Czech 27mm Signal Pistol Vz 30; Magazine Modification for Czech Light Machine Gun; Czech Machine Pistol V.Z.9; Polish 4.5cm Mortar, WZ 36; Polish 9mm Radom Pistol, Model 1935; Austrian 8mm Light Machine Gun, Model 30S; Austro-Hungarian Rifles Model 1895 Mannlicher Cal 8mm and Greek and Yugoslavian Mannlicher Model 1895-24 Cal 7.92mm Rifle; 8mm Hungarian Rifles Models 1935 M and 1943 M (G 98-40) as Manufactured For Germany by Hungary; New Type Mounts for 20mm Oerlikon Machine Gun. Artillery: Smoothbore, Gun, and Ammunition Development; Artillery and Artillery Ammunition Nomenclature; 7.3cm Multiple Rocket Launchers; 7.3cm Foehn Multiple Rocket Launcher; 5cm Infantry Gun 42; 7.5cm Artillery, IG 37; 7.5cm Smooth Bore Infantry Gun 42; 10.5cm Howitzer, IFH 43; 10.5cm Recoilless Gun, LG 42; 10.5cm Compressed Air Mortar (Druckluftwerfer); 12.8cm Gun Mounted on 15.2cm Russian Carriage; 15cm Howitzer, sFH 36; 15cm Howitzer, sFH 18-43; 21cm Moerserwerfer; 22cm Granatwerfer; 30cm Rocket Projector; Ski Mount for 8.8cm Raketenwerfer 43; 16.4cm (French), 21cm, 20.3cm, 38cm (Siegfried Kanone), and 82cm Gustav (or Dora) Railway Guns; 54cm and 60cm Karlgerat Self-Propelled Mortars; Czech 30.5cm Smooth Bore Heavy Mortar; Czech Heavy 30.5cm Mortar (t); Belgian 120mm Gun, Model 1931; Russian 7.62cm FK 39 Gun Modified as a Rocket Launcher, Russian 7.62cm FK 288 (r) Field Gun; Russian 152mm Howitzer 1938, Russian Battery Commander's Telescope, Russian 203mm Howitzer, Model 3; Gun-Flash and Shell-Burst Simulators; Flash Reducer for 105mm Howitzer; Maintenance of Weapons, Equipment, and Ammunition in Winter. Munitions: 7.3cm High Explosive Rocket; 21cm Anti-Concrete Projectiles; 21cm Mortar Projectiles; Long Range Finned Sabot-like Projectile Fired from Smooth Bore Heavy Artillery; 28cm Projectile; 31cm Smooth Bore Projectile; 40cm Rocket; SD-15 (Bomb Adaptation of 105mm Projectile); Firing Tables for use of Captured German Weapons and Ammunition; Use of Foreign Artillery and Foreign Ammunition in US Weapons; Powder Temperature Indicator. Fire Control: Range Finders, Telescopes, and Periscope Artillery Sights; Fire Control Equipment and Measures; Equipment for Massed Artillery; Data Computer (EU - SV Anzeiger C37); Artillery Plotting Board, Lang Basis Gerat; Battery Commander's Telescope and Rangefinders; Fuze Cutting Computer (Kommandoscheibe fur Zunderwerfe); Impact Computer (Aufschlag-Auswertegerat C-40); Reports on Krupp Proving Grounds at Vormeppen and Skodawerke, Pilsen. Fortifications: Light Anti-Boat Mine Model 3ASM-39; Use of Controlled Submarine Mines in defenses at Brest, Goulet de Brest, Granville, Fecamp, St Malo, Tancarville, St Peters Port (Guernsey), and the English Channel Ports; Franz Wasserbombe Controlled Submarine Mine and Demolition Charge; Submarine Mine Booster Release; Cast Steel Pillbox; 5cm Machine Mortar M-19; Pillbox Machine Gun Mount for MG 37 (t) and MG 34; Observation Periscope, SR 2; Pillbox Mounted Panther Tank Turret; Report on Siegfried Line Fort. Missiles: V-1 Flying Bomb Gyro Steering Unit; New Type Warhead for V-1; Characteristics and Capabilities of the V-2 Rocket; Examination of Unexploded Warhead of V-2 Rocket; New Radio Equipment in V-2 Rocket; Trailer Truck for Transport and Erection of V-2; Launching Platform and Trailer for V-2; Pyrotechnic Ignition Device for V-2; Alcohol Tank Truck, Hydrogen Peroxide Truck, and Liquid Oxygen Tank Trailer for V-2 Rocket; Underground Oxygen Plant at Wittring; V-2 Assembly Plant at Nordhausen and Investigation of Ordnance Installations in Vicinity of Nordhausen; Report on Guided Missiles Developed by Henschel at Woffleben NW of Nordhausen; Air-to-Air Rocket Propelled Guided Missile; Feuerlilie F25 Guided Missile; Control of Guided Missiles; HS Series of Guided Missiles; 15cm Long-Range Missile. Air Defense: 20mm Triple Mount, MG 151; 8.5-8.8 cm Flak M39 (r); 8.8cm Flak Incendiary Shrapnel Anti-Aircraft Shell; 12.8cm Flak 40; 15cm HE Smooth Bore Projectile, Spr Gr 4481; Anti-Aircraft Mount for Four 7.92mm Machineguns MG 17; Ammunition Container for 100 Rounds of 2cm Ammunition; Anti-Aircraft Explosive Shell with Hydraulic Fuze (FK 44 or F Hy Z); Auxiliary Anti-Aircraft Sight (Hilfsvisier); Stereoscopic Sight for Small Caliber Anti-Aircraft Weapons; Mechanical Computing AA-AT Sight for 2cm Gun; Anti-Aircraft Sight for 2cm Flak 30 or 38; Close Range Sight and Range Estimating Device for Heavy AA Gun; Developments in Fire Control and Directors for Heavy AA Gun Batteries; Development of Anti-Aircraft Predictors; Captured German Comparator; Definition of Terms Employed in Anti-Aircraft Gunnery; Mirror Image Target Practice for Anti-Aircraft Artillery; Preliminary Catalogue of German Fire Control Equipment; Russian Fire Control for Heavy Anti-Aircraft Gun Batteries; Reinforced Concrete Gun Turrets on German R.R. Flak Cars; Passive Air Defense - False Flares and Dummy Burning Targets; Selector Switch for Anti-Aircraft Directors; Destruction of Low-Flying Aircraft; Homing Devices and Proximity Fuses; Predictor for Heavy Anti-Aircraft Artillery (Flak Rechner 42); Anti-Aircraft Director, Kommando-Gerat 45; Heavy Anti-Aircraft Director; Kommando-Gerat 40B; Cold Weather Heater and Cover for Kommand-Gerat 40; Tracking Instrument, Richtfernrohr, 40 x 200; Anti-Aircraft Fire Control Equipment made by Karl Zeiss Werke, Jena; Anti-Aircraft Target Present Position Data Converter. Miscellaneous Topics: Quartermaster Supplies near Cherbourg and St Malo; Visit to DWM Factory near Lubeck; Submarine Mine Parachute Release; Report on Time Parachute Release for the 1000kg Paracrate; German Ordnance Procurement Organization in France; Light and Signal Equipment used by the German Air Force; Barrage Balloon Cable Cutter for use on Aircraft; 37mm Aircraft Cannon; 5.5cm Aircraft Rocket; Modified 1kg Incendiary Bomb; Aerial Bomb Torpedo; German Methods of Testing Bombs; Location, Code Names, and Production of the Dynamit Actien Gesellschaft; Adaptation of Disc and Ball Drive Device; German Technical Intelligence Want List of Allied Equipment; Induction Detonator for Mines; German Kinotheodoloite; German Plant Making Concrete Bombs; Explosive Plant - Bauleitung Allendorf der Dynamit; Military Explosives Industry in Germany. 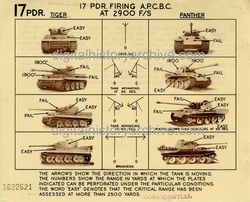 From "British School of Tank Technology Foreign Vehicle Reports 1942-44"
From "Attack on Panther PzKw V & Tiger PzKw VI"
From "Notes on German Preparations for Invasion of the United Kingdom 1941-42"
Reports on German vehicles: Pz.Kw. I (Model B), Pz.Kw. I Commander's Tank, Pz.Kw. II, Pz.Kw. III, Pz.Kw. III Commander's Tank, Pz.Kw. IV, Pz.Kw. IV Mounting 7.5cm KwK. 40, Self Propelled Mounting for 4.7cm AT Gun on Pz.Kw. 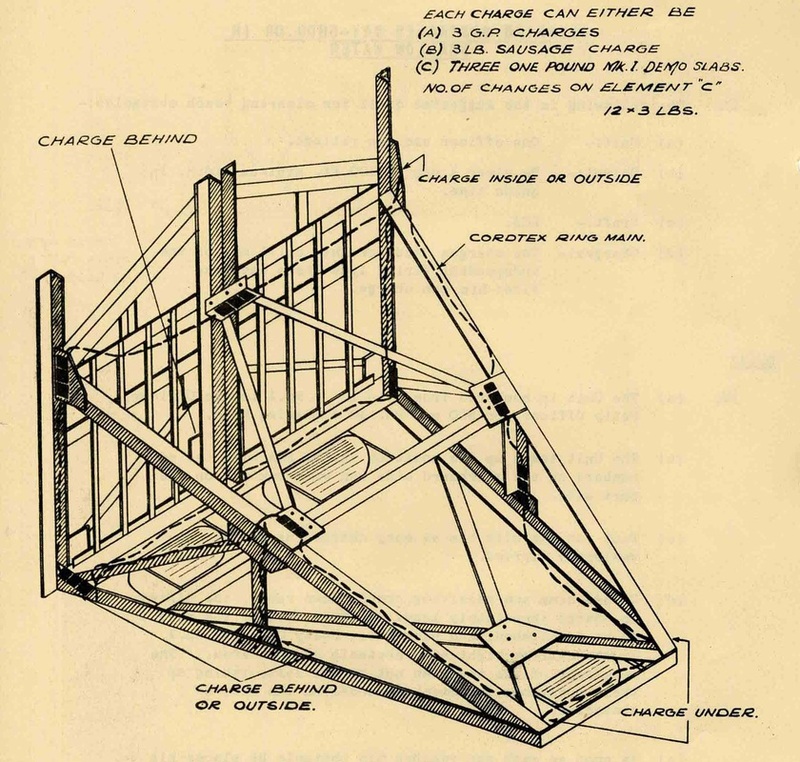 I Chassis, Lorraine S.P. Mounting, Pz.Kw. 38(t) SP Mounting for 7.62cm PAK 36(r), 15cm s.F.H. 18m Sfl. IV Hummel, 7.5cm Sturmgeschutz, 4-Wheeled Armoured Car (Sd.Kfz. 222), 8-Wheeled Armoured Car (Sd.Kfz. 231), Radio Controlled Demolition Vehicle B.IV, German Armored Troop Carrier Semi Tracked, and extracts of a detailed report on the Pz.Kw. VI (Tiger) Model H.
Reports on Russian tanks supplied by the Soviet government to the British: KV-1, T-34, and C.I. Tank Engine Type V2 from T-34 Tank. 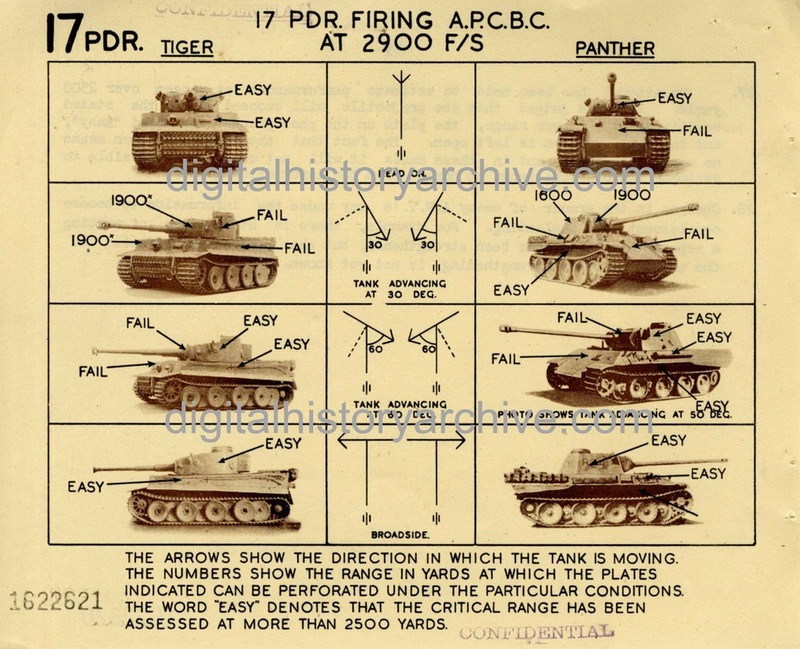 Report titled "Attack on Panther PzKw V & Tiger PzKw VI" that analyzes how to attack the tanks with British and US anti-tank guns. A series of post-war documents produced by the British Historical Office of the Cabinet Office that describe the plans and operations of Axis (German and Italian) in summarized form. The documents are very detailed and were derived from original diplomatic and military documents as well as contemporary British War Office reports. These documents provide a unique English-language view of the German side of the war. Various documents produced by the US Navy as illustrated reference study guides for photographic interpreters to use in the identification of Japanese installations and weapons systems. The studies contain numerous aerial and ground photographs, maps, diagrams and perspective drawings. Note: Most of the photos are printed on the text pages and are of variable quality. 76th Infantry Division 1942-45: DVD with the 248-page unit history "We Ripened Fast: The Unofficial History of the 76th Infantry Division" that describes the division's battles in Belgium, Luxembourg, Siegfried Line, Sauer-Moselle, the Rhine River, Kassel, Erfurt, Chemnitz. A collection of 581 personal experience and research monographs and student papers written by US Army officers while attending the Infantry and Armor Schools after World War II. The papers describe combat operations, actions, and campaigns in North Africa, Sicily, Italy, Normandy, Northern France, Ardennes, Rhineland, Central Germany, and the Pacific Islands to include Guadalcanal, the Marianas, Saipan, the Solomon Islands, Okinawa, the Philippines, and others. 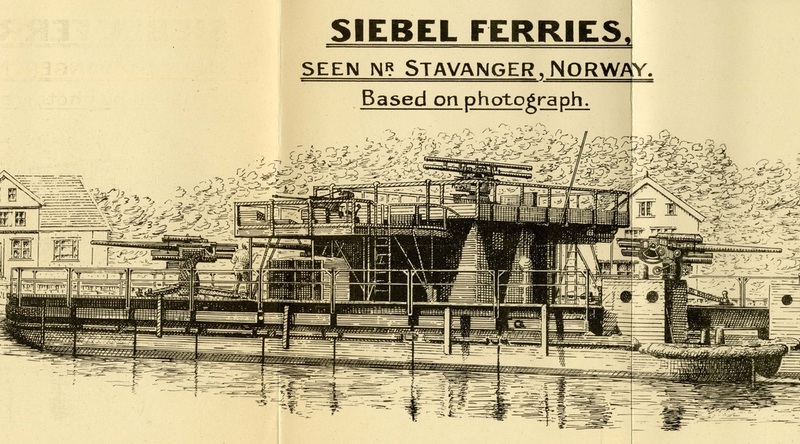 Many of papers include hand-drawn maps and diagrams. Contact us to receive the monographs via a file transfer site. Low resolution examples are posted below.